Premium decking like select grades of redwood and cedar rate a premium installation with hidden fasteners. They’re more expensive and take longer than nailing. But the result is handsome wood grain unblemished by nails, screws, splits, stray hammer blows, or deep nail holes that collect water and foster rot where contractors use pneumatic guns. Proprietary systems like HIDfast and Ipe Clip do three things. They attach boards to the supporting joists with angled fasteners driven through the board edges. They create uniform drainage spaces between boards. And they lock in the abutting edges of the next boards in line. 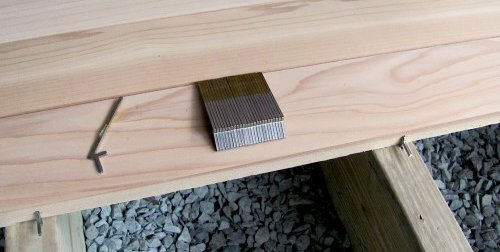 There are also systems like Tiger Claw and EB-TY biscuit-style clips designed to use in the grooved edges of most composite and synthetic decking, such as AZEX and Trex. Part of the fastener tucks into the groove and is screwed to the supporting joist. On the other side, the fastener projects into the groove of the next board in line to secure it and leave uniform space for drainage. Materials are more costly, and whether you do it yourself or hire a contractor, so is the labor. Instead of rapid-fire nails shot through the surface, each board gets a hidden fastener where it crosses each joist. An average size deck will need hundreds. For example, on a recent project laying select 1-by-4-inch cedar over a small, 6-by-10-foot porch, there were 10 contact points per board over 12-inch-center joists, times 16 boards, requiring 160 fasteners. Some fastener companies say you can install 100 square feet of decking in 10 minutes. But I’ve built a lot of decks, and on the porch project it was longer than that- and only after I got used to the gun. 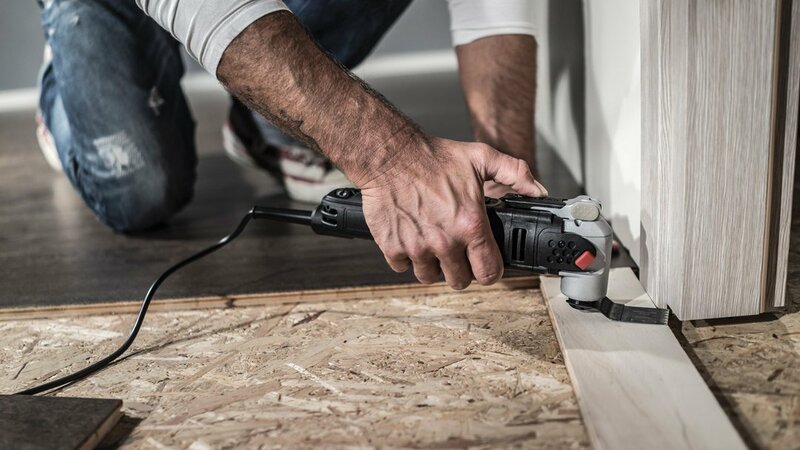 Figure twice the time it takes to surface nail with a hammer, and more like three times compared to a pneumatic nailer or auto-feed screw gun. It’s not the most economical system. 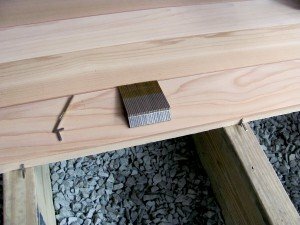 It is an elegant piece of carpentry that creates a solid, secure deck, and not a fastener in sight. The Rockwell brand offers the performance-minded do-it-yourselfer and the price-conscious tradesman with innovative, quality tools. What Should Your DIY Toolkit Contain?